Your personal brand exists – whether you manage it or not. From your social media page updates to the emails you send, and even the way you set up your workspace – all of these things (and more) reflect on your personal brand. 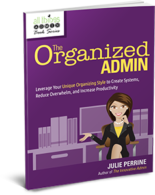 Your personal brand can have a huge impact on your admin career. It influences your earning potential. 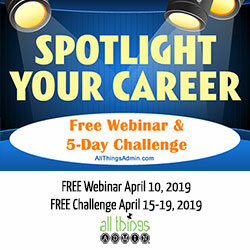 It can be the difference between getting offered a position, promotion, or opportunity or being turned down. It can even determine the longevity of your career. A truly valuable personal brand cannot be faked, it is the sum of everything you do, say, and write – and all these impressions are reinforced by your consistency and authenticity. So, how do you ensure yours is giving others the right impression? 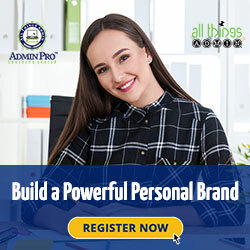 This AdminPro Training Series webinar will help you better understand the importance of your brand, and explain how to properly care for it. What is a personal brand, and why it matters? How to clearly define your brand. How to create a brand story. Steps to enhance your personal brand. Being the custodian of your executive’s and company’s brand. Your personal brand is a powerful professional tool, but only if you manage and use it properly. 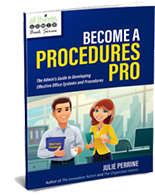 Make sure you’re giving the right impression — register now for the AdminPro Training Series!